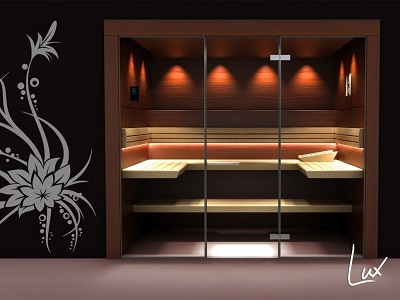 LuxSauna is a sauna manufacturer that focuses mostly on the health benefits associated with consistent sauna use. They list on their about page that their main mission is basically to help people detoxify themselves and to help them live healthier, and therefore happier, lives. While the image created by the LuxSauna brand may seem a bit over the top for the industry, they do offer quite a few useful (and free!) resources for customers to look over. One of the main ways, other than the obvious dedication to health, that LuxSauna separates themselves from other sauna manufacturers is by making sure that all of their products are created in the most environmentally safe way possible. All of the products they use for creating their saunas are environmentally friendly and they consistently strive to create saunas that do the same. They’ve also made it their mission to spread information about environmentally friendly manufacturing methods to their competitors as well. Another interesting anecdote about LuxSauna is that they actually advertise the sauna financing options that they provide to customers. While they aren’t the only company to do this, the fact that they advertise it so diligently further shows that they view the sauna as a major health booster and not just a luxury. While most of the sauna options from LuxSauna are infrared based, they also offer a few different traditional models to choose from. Overall, the LuxSauna brand is a sauna manufacturer that is clearly geared toward their customers while also consistently being sure that they perform social good throughout the sauna industry.